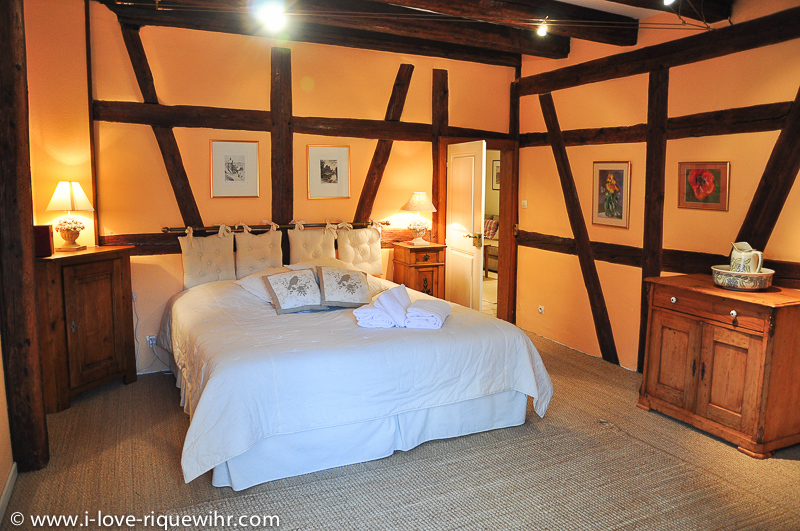 Riesling beautiful 4 star holiday gite for 4-5 in Riquewihr Alsace with 2 wonderful bedrooms. 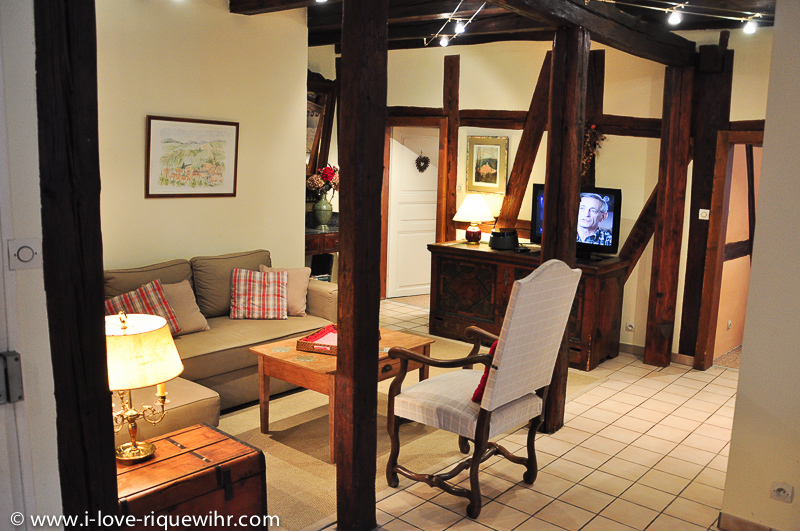 This beautiful and charming apartment for 2-4 adults is located in the medieval heart of Riquewihr, on the second floor of a sixteenth Century Alsatian house. 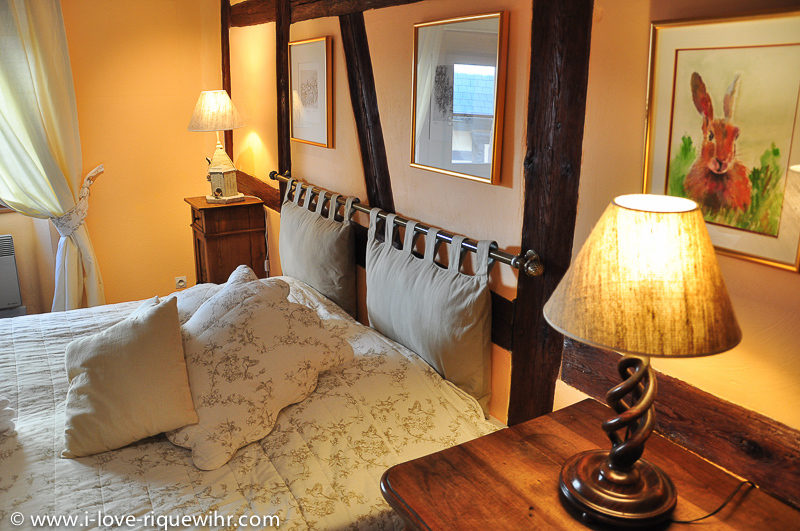 Ideal for 2 couples of adults. Two beautiful double bedrooms with king size beds. One large bathroom to share. One separate toilet. 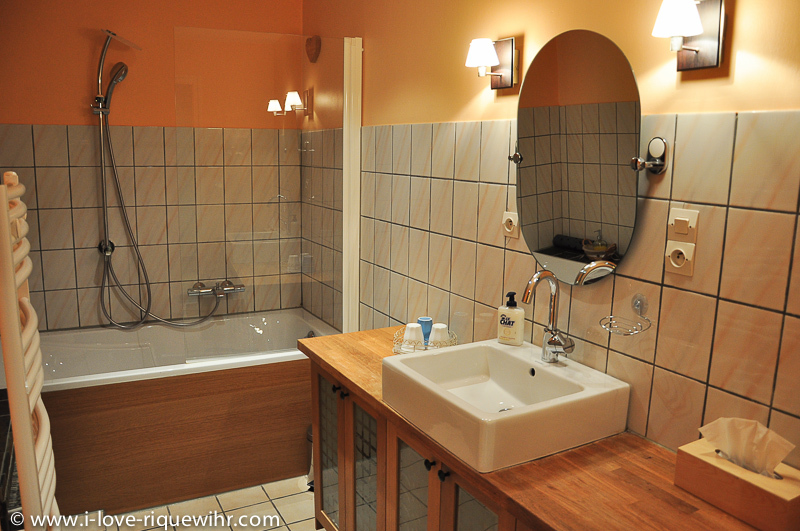 Riesling is a charming and spacious holiday apartment in the heart of Riquewihr. 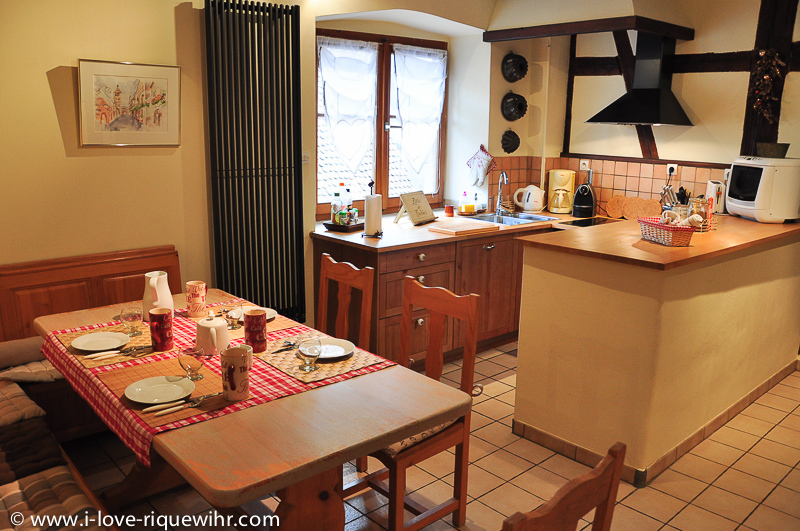 This new gite, perfect as a holiday home for 4 persons is on the second floor of a medieval house in the famous main street of the old village of Riquewihr. 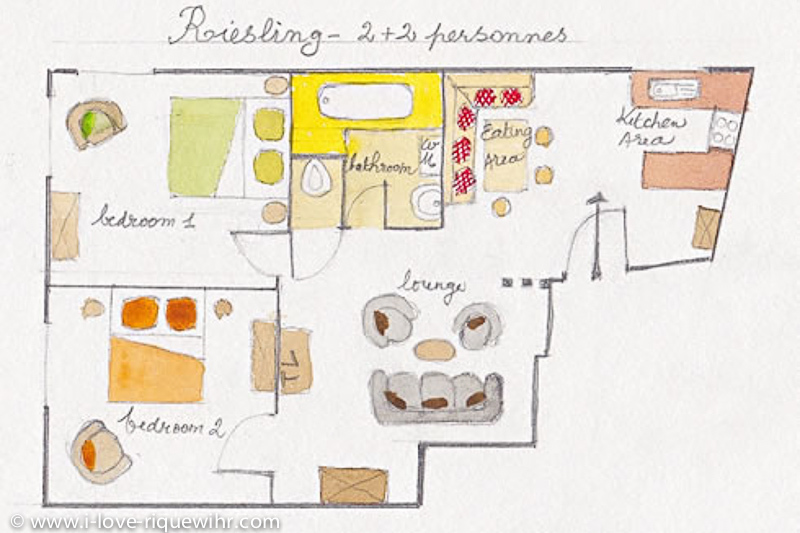 Kitchen with everything necessary for preparing meals + Alsatian dining corner. 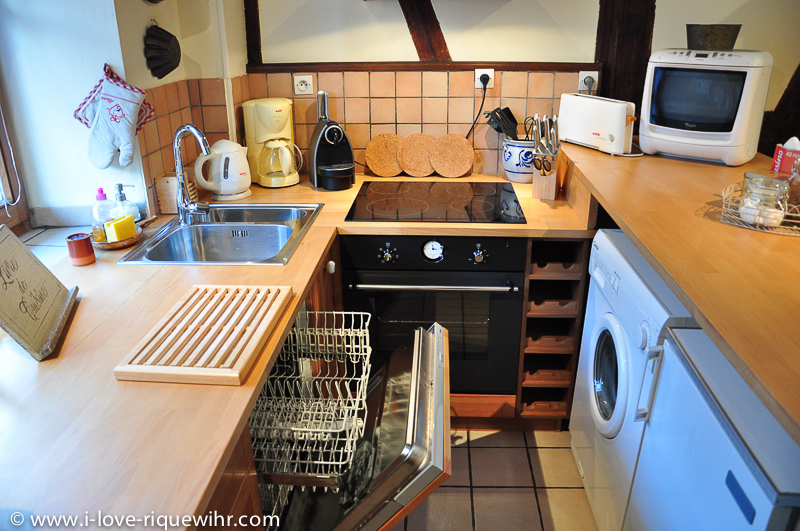 Ceram cooker, microwave, oven, dish washer and fridge. Coffee machine, water boiler, toaster, etc. Elegant sitting area with sofa and TV. 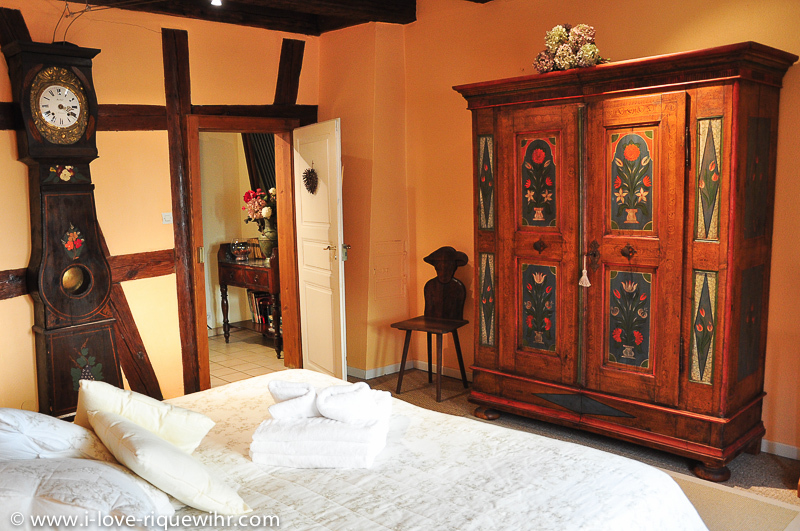 2 comfortable bedrooms with new king size beds. It is possible to prepare one of them in a twin bed configuration (prior request when booking). 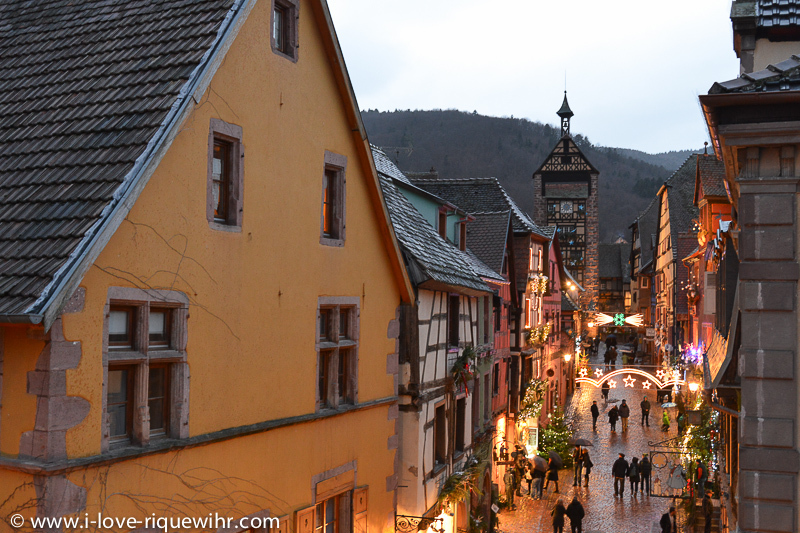 Traditional Alsatian decoration and modern comfort in the heart of the medieval village of Riquewihr, on the Alsace wine route. We speak English. Please do not hesitate to call us for any specific question.